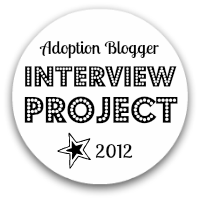 We had over 100 bloggers register for this year's Adoption Blogger Interview Project! You can see the list here. There have been a couple of hiccups, which is to be expected when trying to virtually overlap this many strangers. 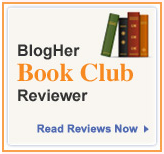 But overall it seems like a really interesting, varied group of writers with some intriguing random pairings. Thank you to everyone who helped spread the word online. 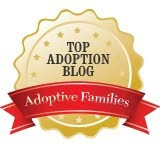 It was a treat for me to read the different posts and blurbs of people describing the project, especially people who talked about their experiences participating in previous years. The winner of the Amazon gift card for helping to publicize is Susan from Susan and Mitch (hope to) adopt! I checked the list of interview participants and my partner, BettyAnne is not listed. I haven't recieved questions from her yet (I've sent her mine). I know she is pregnant so I don't know if there is an issue with the pregnancy or something, but I was wondering if you had heard from her or if she has pulled out of the project. @Natalie - Hi! She is on the list, about ten up from the bottom. But let me try to check in with her to see what might be up. Thanks for letting me know! She ended up getting in contact. Thanks!